I mentioned previously that I was listening to the audiobook, Things A Little Bird Told Me, on newly discovered (and loved) Audible a while back. I finished the book and definitely recommend reading it (or listening to it). Straight from the mouth of a man whose taken significant risks and followed his dreams and passions, Biz Stone (self-proclaimed Genius, which he describes in the book), encourages everyone to not only pursue their dream when the opportunity arises, but create the opportunity to make that dream a reality even if the circumstances don’t fortuitously present themselves. I think everyone can read this book and take away, if nothing else, a reminder that we control our own destinies in a lot of ways. No doubt luck plays a role in life. But like Stone says above, the decisions we make and actions we take have the potential to exponentially increase our “chances” of winning the “luck lottery.” At the very least, we have to put ourselves in a position to exploit that luck should the lottery call our name. In pursuing our passions, Stone suggests many of us don’t take big enough risks. Too often, we play it too safe and hedge so much that we prevent the wild successes we hope to achieve. Further, he suggests we stop making excuses about the limitations or obstacles “preventing” us from accomplishing our dreams. These limitations are actually opportunities. In the end, Stone essentially says to just go for it, expect failures along the way, admit vulnerability and failure (which will earn you goodwill from those impacted by your failures), and never stop asking questions! He makes many great points and offers many reminders about happiness and achieving our goals in life. 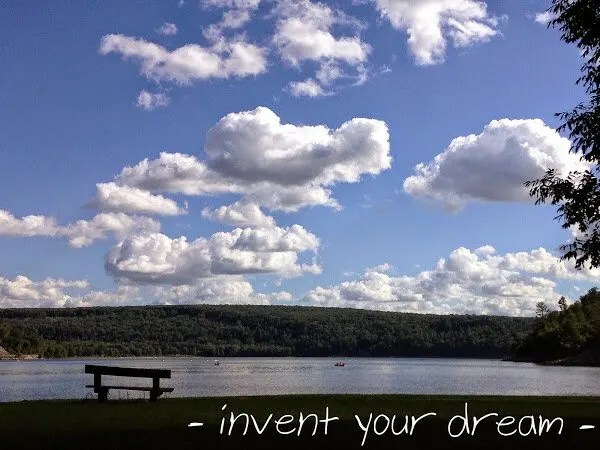 In the end, he ultimately tells us to just Invent Our Dreams! And he’s so right. What are we waiting for?! I suspect not all of us intend to start the next multi-billion dollar social change medium. But I’m sure we all have a thing or two that’s been gnawing away at our hearts wanting more attention than it’s getting. This book isn’t going to teach you how to make your dreams a reality. In fact, I’m not sure it would even be possible to create a universal “how-to” for such a varied and personal feat. But it is a great reminder that the power is in our own little hands. We may not be solving global health issues or finding a resolution for world peace. But if you have a little dream, read the book, take a few notes, and do something about making that dream your reality. Dream it. Invent it. Live it. Love it.